DETROIT - Michigan is one of the first states to authorize implementation of digital license plates - and soon you'll be able to get one. The Michigan legislature has passed a bill (Public Act 656 of 2018) enabling digital license plate technology in the state of Michigan. Reviver Auto, the creator of the Rplate, the world’s first and only digital license plate, will work in conjunction with newly-elected Secretary of State Jocelyn Benson, to roll the plates out to interested users in the state of Michigan. The state is still working on details for implementation and nothing had been finalized. Michigan is the first state in the nation to enact a law to allow implementation of digital license plates. In addition to Michigan, the Rplate, which is currently on the road in California, is anticipated to expand into new states in 2019: the use of digital license plates is fully authorized for Arizona; legislation has been passed in Texas and Florida, and Washington State will conduct a digital license plate study. 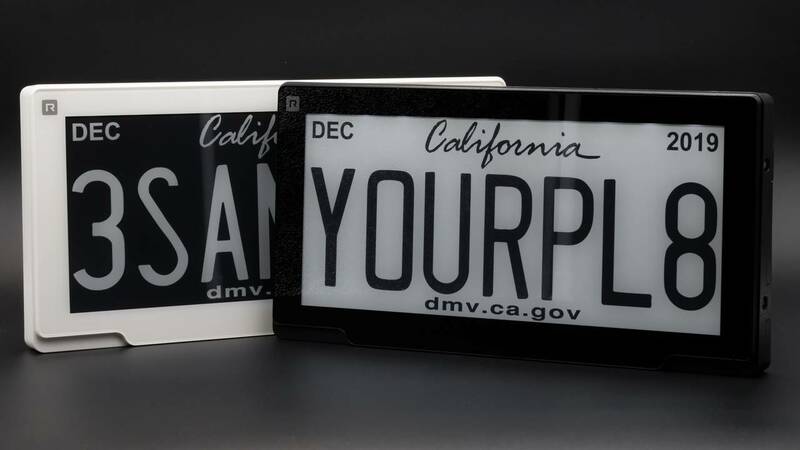 The Rplate, which launched on the roads in California in June 2018, transforms today’s stamped metal license plate into a sleek, digital, high-definition display and offers a platform to simplify daily life with vast potential for future innovation. The Rplate’s connected car platform can automate vehicle renewals, replacing legacy stickers with digital decals, and add new levels of personalization to the license plate, including promoting charitable causes, passion for a sports team, or even a child’s academic/athletic achievements. The Rplate also enables stolen vehicle and plate detached information, as well as geo-fencing capabilities for business and/or governmental entities. Future features include Amber and weather alerts, automated parking, trips taken, vehicle miles traveled, marketing capabilities and much more.